This is a link to a kickstarter campaign. I’m not suggesting pledging any money but I did want to introduce the project to you as it is pretty incredible. 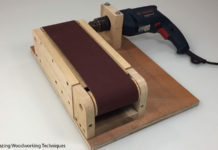 It’s a full music machine-made from wood and assembled with no tools or glue. click the image to go to the Kickstarter page and view the video. A definitive guide to setting up a bandsaw. A magnetic base dowel indicator is a very handy jig/tool to keep around the shop. Jack has a lot of really great ideas in his videos. A common question: “are cheap hand planes junk?” Watch this. I like seeing other people’s interpretation of someone else’s project. Like when someone makes one of my projects and adds their own twist to it. It shows concepts and solutions you might not have thought about. This is a well-organized tool chest. After transporting my tools in a very unorganized way to Oklahoma in June I’d really like to make one of these soon. This is such a great conversation with Aaron Draplin. Have you ever thought about how much goes into a simple business logo? I learned that a couple of years ago when I made a much improved transition with mine. I originally watched this video several months ago and one of the takeaways I got from it was to start with very basic sketches on paper. Then take that to the computer. It’s helped my workflow a lot. Have you ever wondered how steel balls are made for bearings and such? I love watching engineering videos like this. A complex series of simple tasks that come together flawlessly. I also really appreciated the old 8-bit video game sounds in this one. A crazy amount of work goes into making each one of these wheels. Teamwork! Today’s technology is incredibly sophisticated. Designing everything on the computer with 3d modeling to work out all of the kinks before any material is cut or parts are formed. Imagine the slow process of designing and constructing something this large in the 1920’s. I say that and instantly think of the much larger steam engines of the early 1800’s. This is also a great channel to subscribe to. 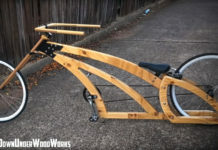 So this isn’t woodworking at all but it’s incredibly interesting. I’m a huge classic rock fan. I would be totally fine if all radio stations were forced to only play music from Pink Floyd, Led Zeppelin, The Who, CCR, Tom Petty, Stevie Ray Vaugh, and the likes. Every classic rock band has at least one guy that is on another level. As great as Jimmy Page was/is, the drums are often where my mind gravitates to when listening to Zeppelin. This short video is a great look into the complexity of one of the greatest drum portfolios ever. 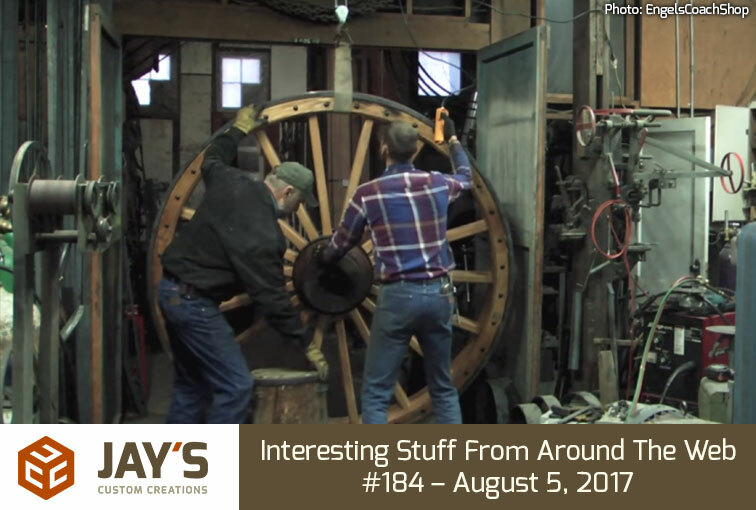 Love the mix of wood/non-wood related videos! Dave Grohl, for my money, is the greatest drummer of all time. Hard to argue that. Definitely in the top list. 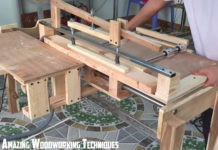 The bandsaw adjustment tips clarified some questions for me. The biggest problem I experience is finding blades that live up to their ‘quality’ claims. Really appreciate you posting the wide variety of videos Jay, the amount of shared knowledge out there is amazing and humbling. I gave a presentation on Led Zeppelin to a music class while in College, it was heavily focused on Bonzo and how JPJ and JP all play their own riffs to make some incredible music. I wish this video was out when I presented. It would have helped tremendously in explaining the score aspect. Good find, Jay. That John Bonham video was amazing. I think it is a good idea to scale back to a monthly email. Good luck with the journey towards adoption, I have a few very close cousins going through the same thing.